So, you're totally pigged out and can't lift yourself from the sofa. What better way to spend your time than puzzling over the first ever Sexyloops Grand Christmas Crossword? It's a bit cryptic, and there are even a few anagrams (blimey! ), but if you've been paying attention to 'Loops and the board this year you should be fine. The absolute best thing, though, is that there's a prize! Yep, Mike Barrio has kindly donated a fly line of your choice from his excellent range for the winning entry. 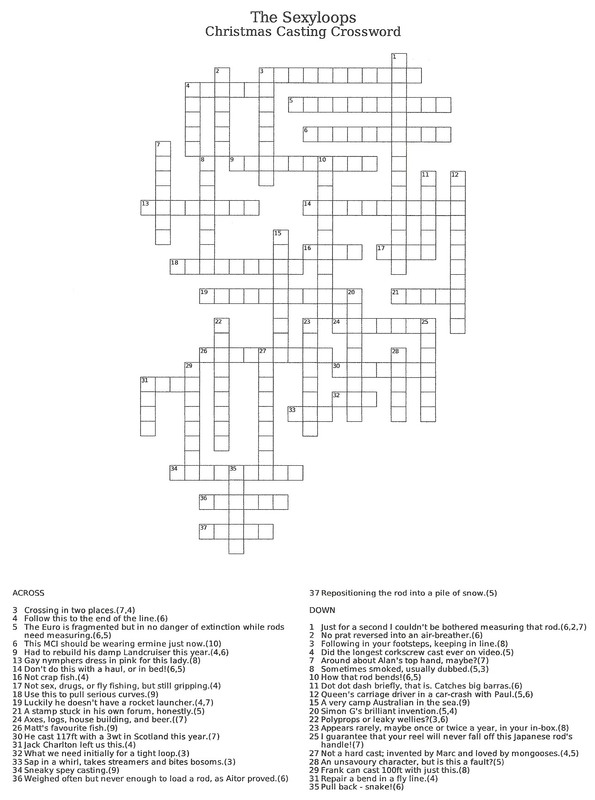 All you have to do is print off the crossword and fill it in correctly, scan or photograph it and send it back to me before next Sunday. The first correct entry I receive gets the prize. I'll publish the answers next week.